Model display at the Rectory in 1961. The three boys in the middle are from left to right John Smith, Edwin Fox and Michael Sevens. Photo copyright of David Brookfield. The man in the photo is Albert Cooling. 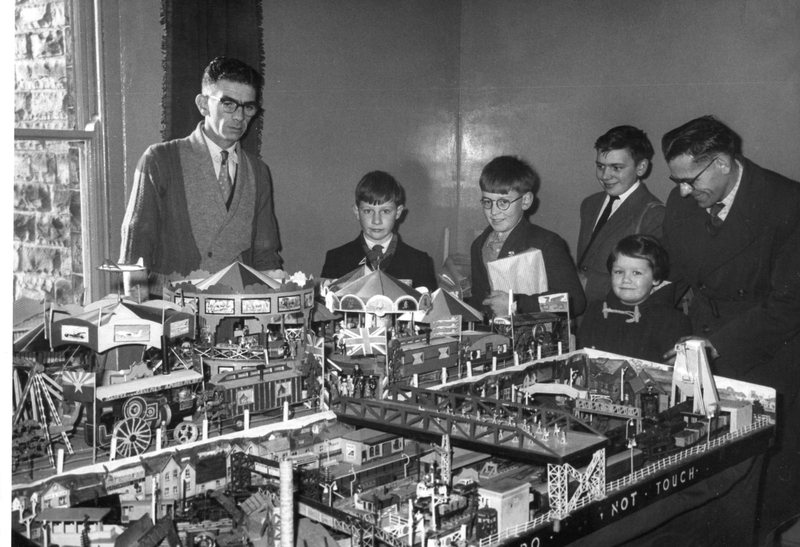 He made all his fairground models from scratch. He was very talented.